AGR Dynamics is excited to attend the National Retail Federation’s Big Show event held in New York City, USA from January 14 – 16. The company will have representatives from Canada, Iceland, and the UK attending the event and look forward to networking with retailers and solution providers, as well as learning about the latest trends, solutions, and technologies within the retail sector. If you will be attending NRF and want to meet up with our team in the big apple, don’t hesitate to send our Head of Sales and Marketing, Finnur Bragason, an email finnur@agrdynamics.com. AGR Dynamics is proud to announce the newest release of AGR – AGR 5.3.0. In this new release, we have overhauled the Order Grid within the system to drastically increase performance. The order grid is similar in look to previous releases, but the speed and reactivity of the system far outstrips that of its predecessors. You can see this performance increase by simply scrolling through many order lines, as well as the lack of loading time when switching between views. In October, AGR Dynamics had the opportunity to attend Drapers Fashion Forum, in conjunction with K3 Retail, and participated in a panel discussion on development ideas within retail. The vibe at the event was electric as Drapers celebrated 130 years of supporting the fashion industry. The day flew by with ideas, stories and practical insight by incredible speakers whose companies are making the headlines for all the right reasons. Are you interested in adding the AGR Sales Planner to your business operations? Not sure what to expect with the implementation? 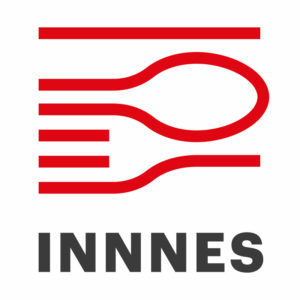 Read all about how Icelandic grocery wholesaler, Innnes, implemented the AGR sales planner after using the AGR replenishment and forecasting module for over 9 years.